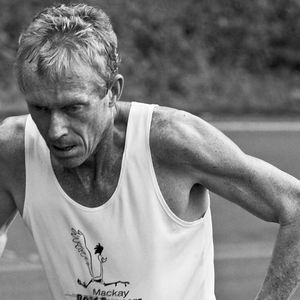 With the Mackay Road Runners Summer social running program drawing to a close, Club Captain/Race Director, Jim Ford once again hosted a unique event from the Magpies Sporting Complex. The 6km & 12km run had participants opting to tackle whatever distance they chose, in addition to estimating the actual exact distance of their chosen course, with the winners taking the usual coveted prizes and bragging rights for closest estimate. Over forty runners eagerly accepted the timed challenge, including the very welcome addition of many new and returning runners to the 2018 Mackay Road Runing scene. Jim welcomed all runners whilst he explained the short and long courses as well as the challenge concept. Excellent performances came from Rachel Silvestri, Ashlee Scott, Simon Henderson, Mark Walz, Carol Brown, Brenda Windsor, Sandra Henderson, Tim Caddy, Ross Connor, Jenene McLellan, Mitch Thompson, Alan Zamparutti, Steve Oberg, Charlie Martel, Craig McGahey, Leon Ryan,Darrin Pullen, Andrew Short, Jo Skinner, Peter Ellison, June Bradley Jose Short, Carmel Mahon, Paula Easton and Karla Hook. 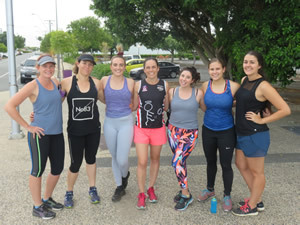 Mackay Road Runners also welcomed the North Mackay Saints AFL girls team at the midweek social 5km at the Bluewater Quay. The girls have been very committed over the last several weeks to their pre-season training in a bid to better their 2017 season Grand Final performance…go The Saints! The Mackay Road Runners Summer program continues for two more weeks, with this Sunday’s run commencing at The Mackay Harbour North Wall carpark at the usual time of 5.30pm. As this is an informal, social group training session, only a gold coin cost for participants is requested which goes towards post run refreshment, prizes, etc….. All welcome to attend, no need to be a Club Member, bring your friends and family for a great hour of running and social banter.